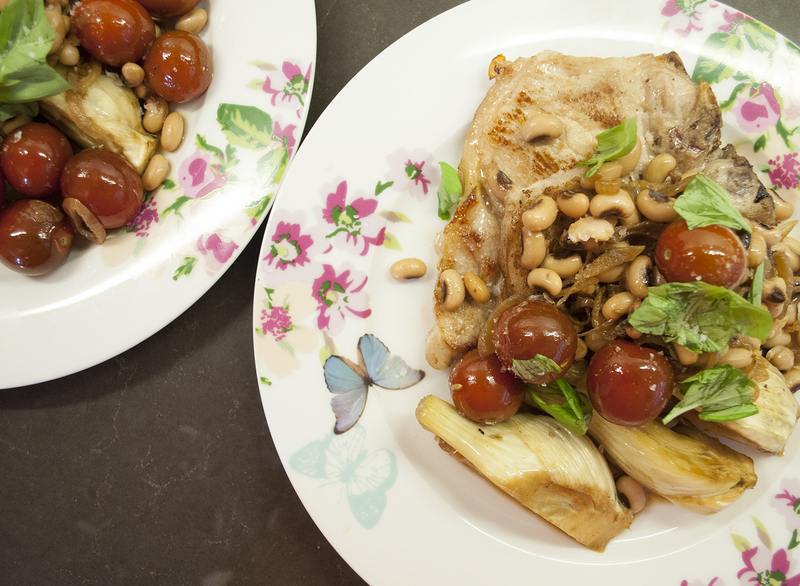 A perfect summer dish with one of my favourite flavours – fennel. Pop some of the oil and butter in an ovenproof pan and heat. Season the chops and add to the pan, cook for a minute each side then remove. Add the shallot to the pan along with the fennel and cook for a few minutes. Throw in a glass of wine and let it reduce. Add the lemon wedges. Pop the lid on and transfer to the oven for 10 minutes. Add the tomatoes and the beans and place the chops on top. Pop back in the oven and cook for about 15 minutes. Remove the chops and stir through the lemon juice and fennel seeds. Serve with the torn basil. Another BBC Good Food adaptation (July Edition).